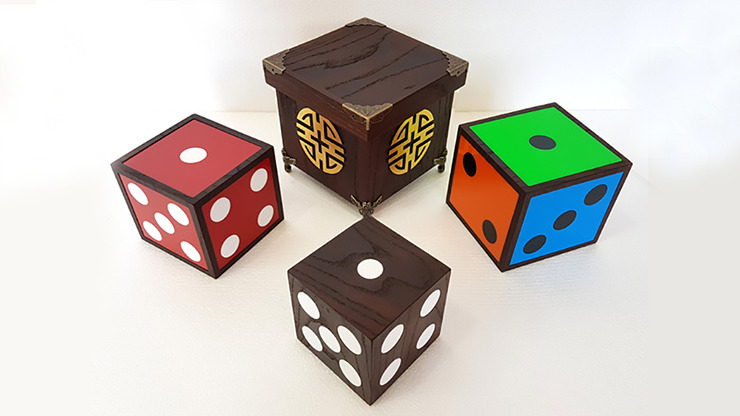 First, you show a Black and White Die to audience and put it in a box. 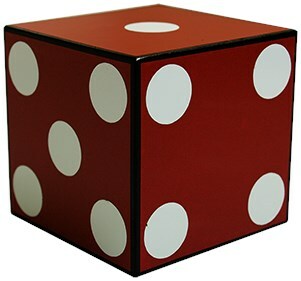 Then, get the Black and White Die out of the box but it has changed into a Red and White Die! 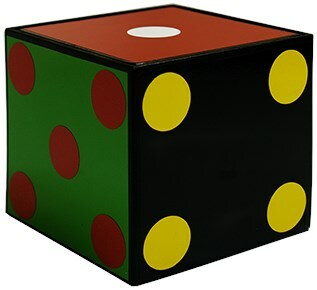 Now, put the Red and White Die inside the box. This time it changes into a Multi-Color Die! !